Operating in over 2500 restaurants in 25 countries, SimpleOrder is an all-in-one restaurant inventory management app for single and multi-location restaurants. Designed to streamline Back-of-House restaurant operations for restaurants and chains, the SimpleOrder app features purchasing, real-time recipe costing, sales integration, central kitchen management and much more. Dublin-based Coffeeangel owner Karl Purdy knew that the surest way to succeed in the restaurant industry is by combining great Front of House execution with a strong handle on the business side of their cafe. Looking for a tool that would oversee their fast-growing operations and give him and his team the time to concentrate on creating a great experience for their customers he turned to SimpleOrder. The coffee chain wanted a platform that would hold inventory data and help determine accurate menu prices. Karl was specifically looking for an overseeing tool to coordinate purchases, inventory, sales and menu prices, so that he would receive all the the data and reports he needs to oversee the operations of the commissar​y kitchen, the warehouse and each of the branches. 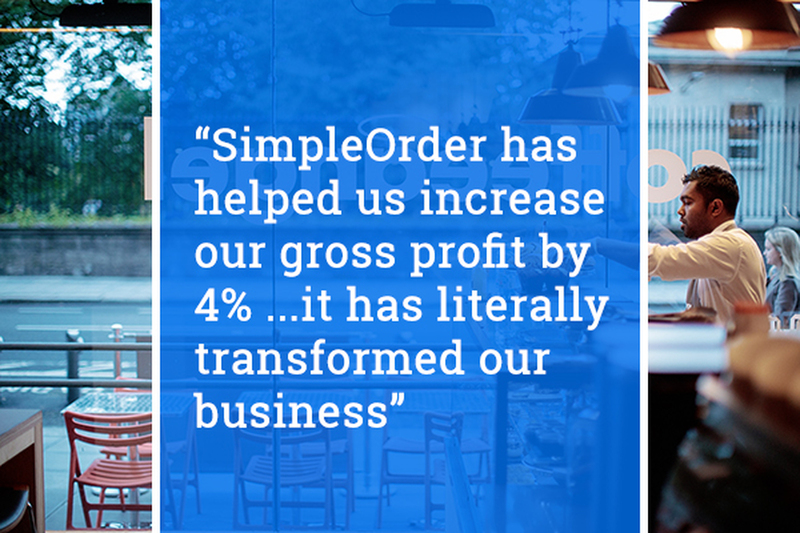 Discover how you can reduce food waste, cut your costs and boost your profit margins with SimpleOrder. Watch this short video to see how we automate your replenishment or visit our website and book a quick demo.